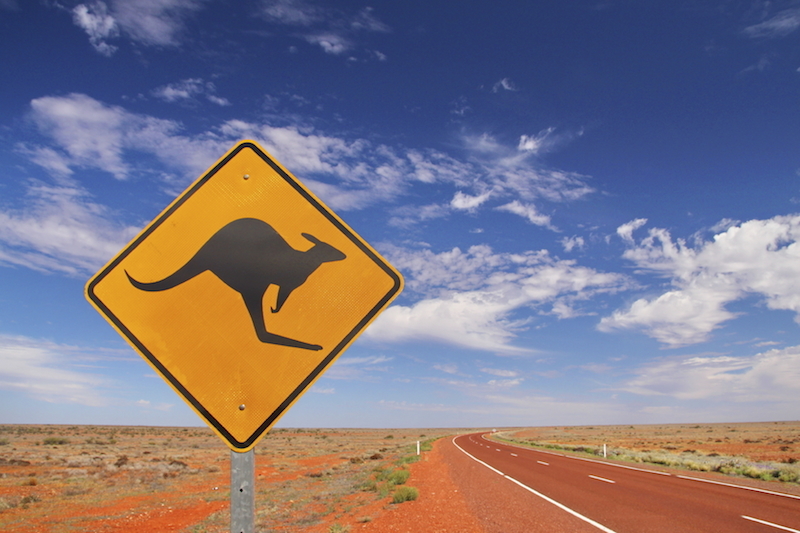 Visiting Australia is a goal for many globetrotters, but high airfare prices often put it out of reach. However, choosing the right travel credit card could make your dream of traveling Down Under a reality – you just have to know where to look. Flying British Airways directly to Australia could be costly because the airline is known for its high fuel surcharges. But because it’s a member of the oneworld alliance, you’ll be able to use your Avios to fly on Qantas, one of Australia’s main carriers. Qantas offers lots of daily flights to Australia from a few major U.S. cities, including New York and Los Angeles. One of the best ways to rack up Avios fast is to get the British Airways Visa Signature® Card. With it, you’ll earn 3 Avios for every dollar you spend with British Airways and 1 Avios for every dollar you spend on other purchases. Plus, it comes with a hefty sign-up bonus: Earn 4 Avios for every $1 spent on all purchases within your first year up to $30,000. That's up to 120,000 bonus Avios. Every calendar year you make $30,000 in purchases on your British Airways Visa card, you'll earn a Travel Together Ticket good for two years. Keep in mind that this card charges a $95 annual fee. But if you’re able to regularly take advantage of the Travel Together Ticket, this will likely outweigh it. West Coasters with an eye on an Australian getaway should consider the United℠ Explorer Card. United offers flights between San Francisco/Los Angeles and Sydney/Melbourne, and they generally provide good award seat availability on these routes. Using the United℠ Explorer Card will help you build up your MileagePlus miles fast. With it, you’ll earn 2 miles per dollar spent at restaurants, on hotel stays and on purchases from United and 1 mile per dollar spent elsewhere. You’ll also get a free checked bag for you and a companion on your reservation when you pay with the card, priority boarding, and two passes to the United Club each year. To get you started, the United℠ Explorer Card comes with a sign-up bonus: Limited time offer! Earn up to 60,000 Bonus Miles. It has an annual fee of $0 for the first year, then $95. Again, it’s important to remember that taking advantage of certain card benefits (like free checked bags) will help offset this cost. Nerd note: The Chase Sapphire Preferred® Card is a good alternative to both the British Airways Visa Signature® Card and the United℠ Explorer Card if you’re uncomfortable with committing to just one airline. British Airways and United are both Chase Sapphire Preferred® Card transfer partners, so you’ll be able to use your points with either carrier with this card. Check out our full review of the Chase Sapphire Preferred® Card here. Booking award flights (to Australia and elsewhere) can be tough during holidays and over the summer. Consequently, you might not get much use out of a card that earns frequent flyer miles if this is the only time you’re able to travel. In this case, opting for the Capital One® Venture® Rewards Credit Card is a good choice. This card will earn you two miles for every dollar you spend; since each mile is worth $.01, you’re scoring 2% back on all your purchases. What’s more, you can use your miles to purchase any airline ticket or hotel stay. Simply use your card to book your trip as you normally would, then redeem your rewards in the form of a statement credit. The Capital One® Venture® Rewards Credit Card also offers a hefty signup bonus: Enjoy a one-time bonus of 50,000 miles once you spend $3,000 on purchases within 3 months from account opening, equal to $500 in travel. Its annual fee is $0 for the first year, then $95.